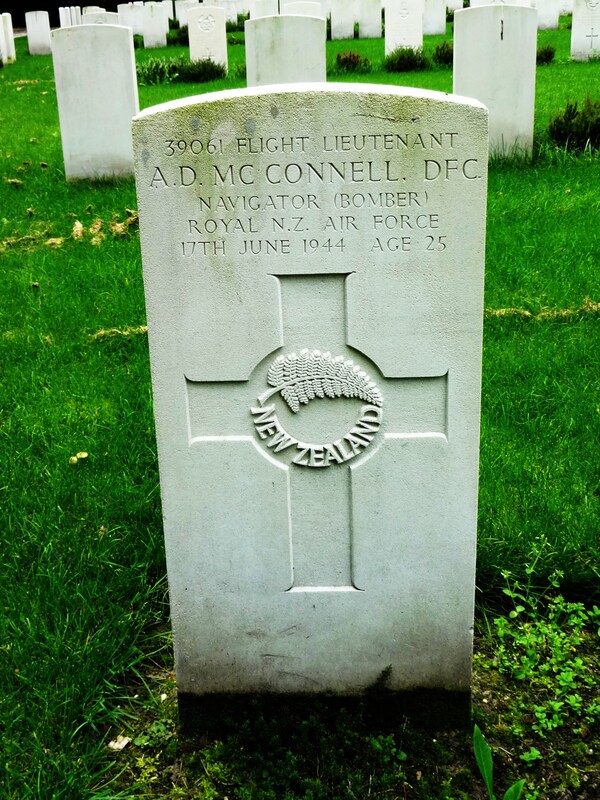 F/Lt A D McConnell DFC (RNZAF) was the Squadron Senior Bombing Officer. He was standing in for F/O Stocks the regular A/B who was in sick quarters with a foot wound. The death of W/O Murray left a headless crew (who were, after the loss of W/O Murray, transferred away from North Killingholme station). See W/O J K Murray and crew. 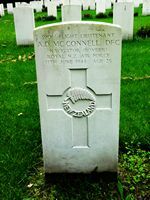 Do you have any information about crew members of the F/O D F Neilson crew who were lost on 16/17 June 1944 on ops to Sterkrade? Eight crew were lost (2nd pilot was flying) and two of the regular crew members were replaced by stand-ins on that raid, so relatives of quite a large number of air-crew (some of whom may have survived the war having not been flying that fateful night). The aircraft came down in the area of Veenendaal in Holland. There are plans afoot for a memorial at the crash site. Thus the search is on for relatives of crew who may wish to be present at any unveiling (ca. June 2015, details not yet confirmed). Please email the web-site (contact details below) if you contact details for anyone who may be interested in further information. There will be a commemoration event for the F/O Neilson crew on 17th June 2016 in Rhenen, The Netherlands. 13.00: The Mayor of Rhenen welcomes the invited people (representatives from Canada, England, New-Zealand and the Royal Air Force of The Netherlands). 14.00: Unveiling of the Memorial Stone; the names of the eight crew-members are engraved. 14.45: End of formal ceremony. If you need more information then please contact: Gerard van der Vliet. See the Rhenen Memorial web-page.